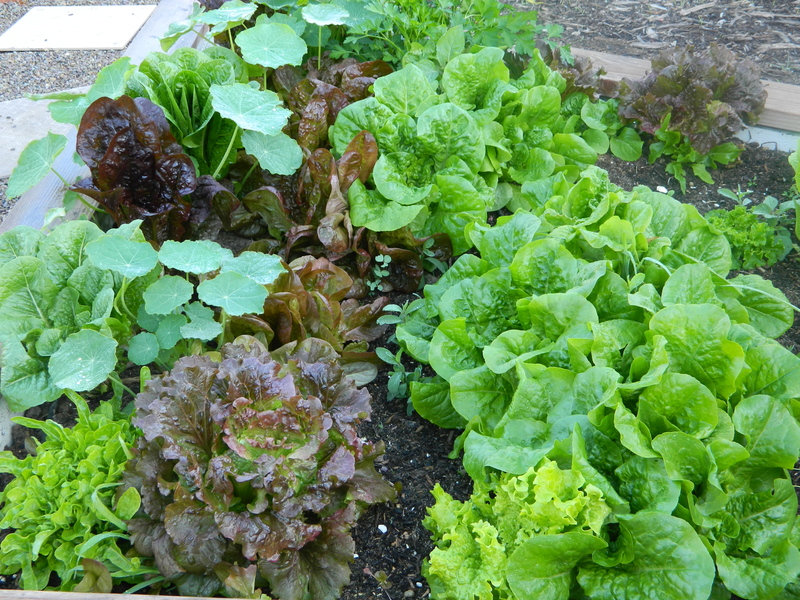 Living in southern California has its perks and one of them is being able to grow vegetables and fruits year round. My summer garden produced less than an abundance of tomatoes, probably due to the unusual heat, and the zucchini took over. I much prefer my winter garden that is thriving in the cool weather. 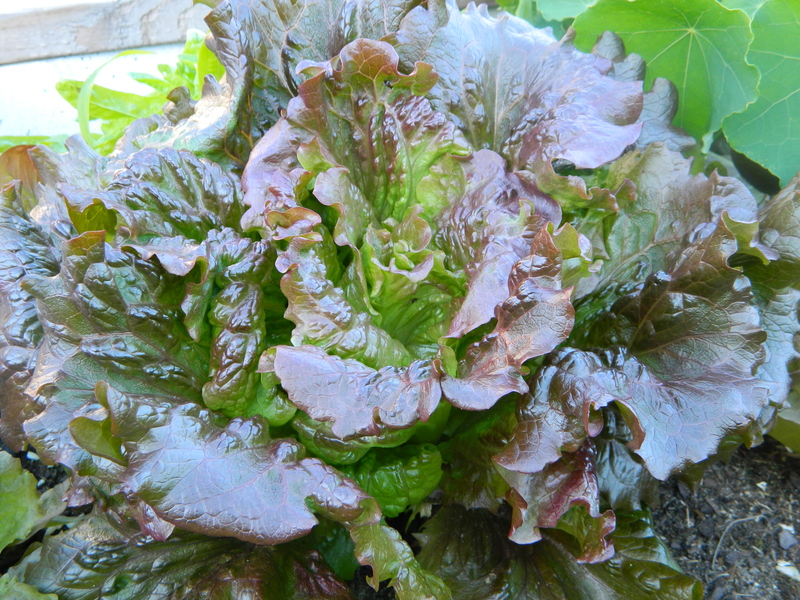 Bunches of soft and ruffly butter lettuce flourishing in shades of eggplant and emerald, co-mingling with stately romaine which ranges from soft grassy greens to more pronounced pea greens. The oak leaf lettuce, their tender fingers of olive fusing to deep wine, is almost hidden underneath the large, sculpted circles of nasturtium leaves. An umbrella of Nasturtiums pushed aside to reveal delicate and tender Oak Leaf Blend. At every glance, my eyes engage in the vibrant colors and I am grateful these greens have chosen to share their beauty with me. 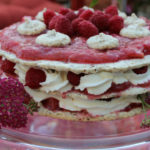 My bounty is shared with neighbors and friends and I am always finding new ways to introduce them into my cuisine du jour. 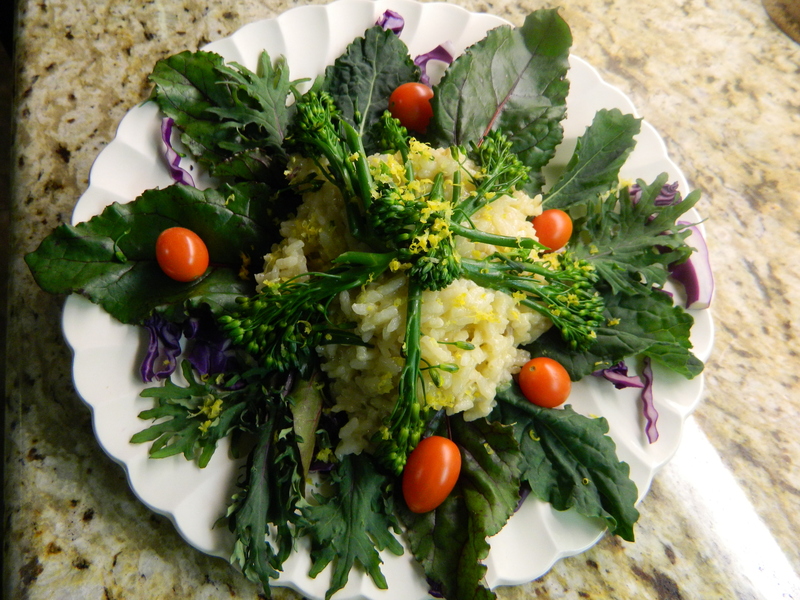 One thing I have done for years is to layer greens underneath my main course, creating a one dish meal. 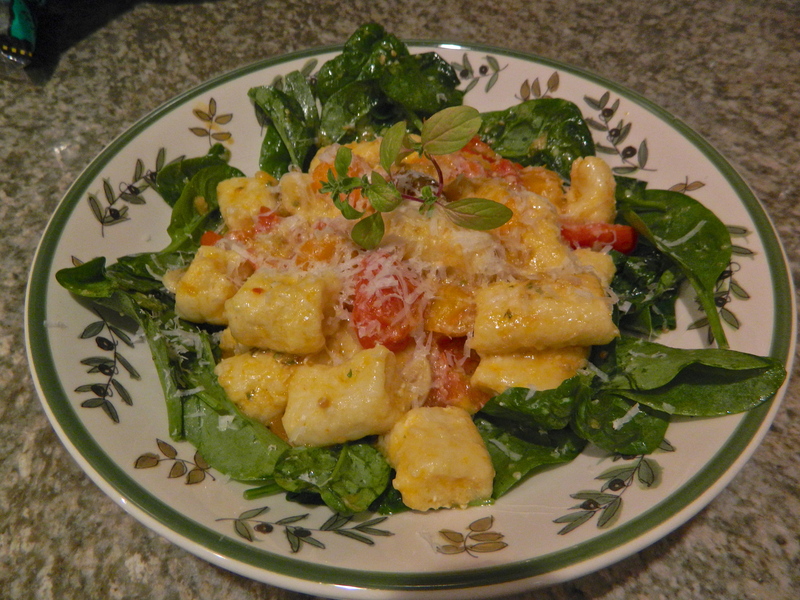 In this photo, I made gnocchi with a fresh garden tomato sauce and mounded it on top of a bed of lightly sautéed greens. I love how the border of green frames the main course. Butternut squash gnocchi hugging greens. Often times I just use salad greens without cooking them. The food heats and wilts the greens and infuses them with the dominant flavor. Lemon risotto warming two varieties of freshly picked baby “Nero Toscana” kale, “Red Winter” kale and “Ruby Red” swiss chard greens. 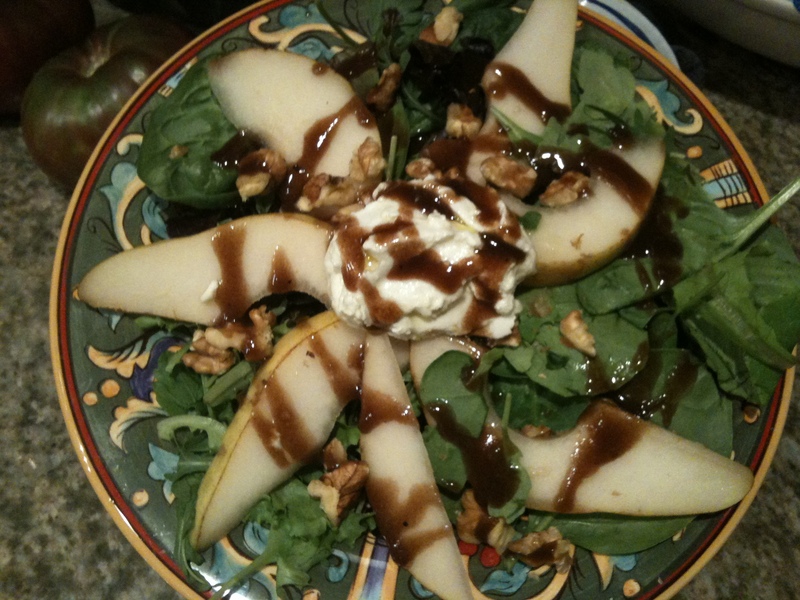 Fresh greens topped with winter pears and a drizzle of homemade balsamic glaze. Delectable! The options are infinite! Be creative. Love the diversity of baby greens and let your imagination run free. Am I tempting you to plant your own winter garden? It’s not too late! It really is easy. You can even use one large pot if you have limited space. Visit your local nursery or farmer’s market for starters or start seeds in a sunny window indoors before transplanting in outside beds or pots. I’d love to see how your garden grows. Please share yours with me! 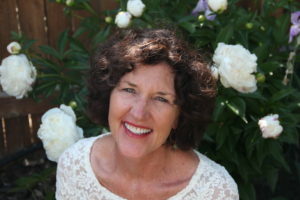 Mary – this is truly inspirational and I thank you. Layering greens is a brilliant concept and one I can hardly wait to incorporate! 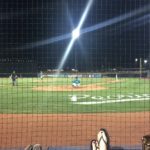 Thank you for another beautiful blog. You do inspire me! Truly your perception, photos and food ideas are OVER THE TOP! I love all the different lettuce menu ideas you present. 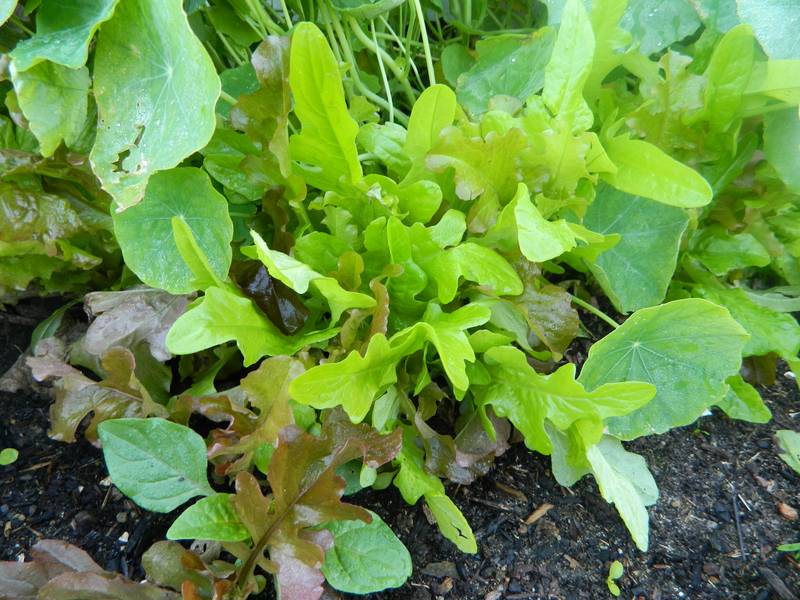 My lettuces were planted late and are not quite ready for harvest. When they are I am going to use all the ideas you educated me about. Butternut gnocchi! Yum yum yum. Thank you for sharing all your creativity and knowledge with us plebes. Thanks for your kind words Jill. Yes, my bountiful garden makes winter something to look forward to rather than dread! Yum! Nice plates and great ideas! This is wonderful! I love the variety, the sentiment and, of COURSE, the recipes! The pictures are amazing! Talk about INSPIRING! Love you!